It’s great seeing one of your favourite photos in good old fashioned newsprint! Recently I received an email from Waitrose requesting to use one of my photos in one of their ‘in store’ publications. Waitrose Weekend is a 50 page newspaper with all manner of lifestyle content, freely distributed at the checkouts of all their stores. It’s styled very much like a supplement from one of the Sunday broadsheets. Waitrose Weekend Double Page Spread. I was thrilled! The photo they eventually chose was one of my all time favourites from Hambleden Horse Trials. 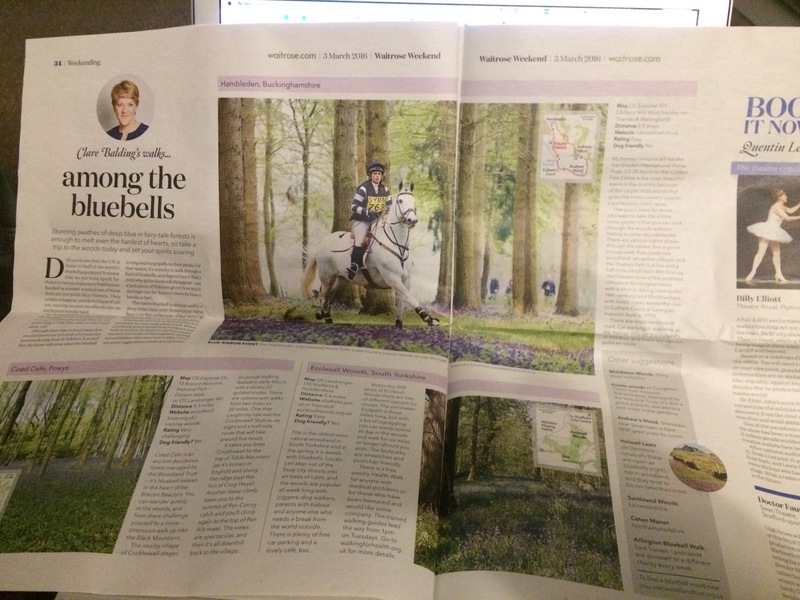 They wanted to use it to illustrate a piece written by Clare Balding all about Bluebells Walks. (Clare’s a bit of a rambling expert as well as a mainstream TV presenter). 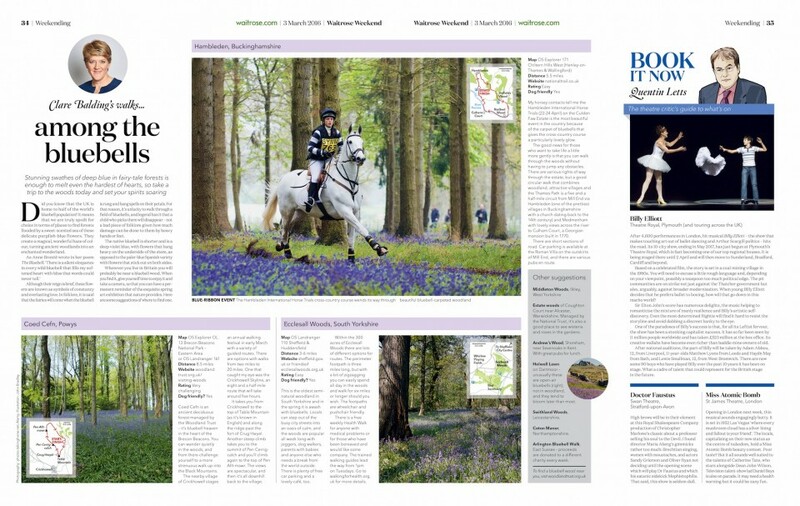 This photo has been described [by others] as “one of modern Equestrianism’s most arrestingly beautiful photographs”, used on the front cover of the official programme for Hambleden Horse Trials and now made it into newsprint. It’s so rewarding when you capture a photo that moves people in such a way, particularly when it’s one of your personal favourites. Any of these honours tops having my photos in the Wall Street Journal or New York Times Magazine, because it’s a personal favourite. I do love good old fashioned newsprint, it reminds me of times spent reading the Sunday papers (before children).